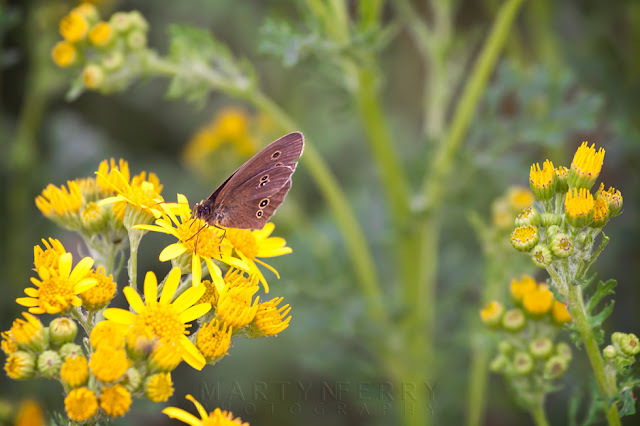 A couple of days ago I took a trip to Ouse Fen, an RSPB run nature reserve, in the hope of getting some shots of the abundant bird life that takes up residence there this time of year. 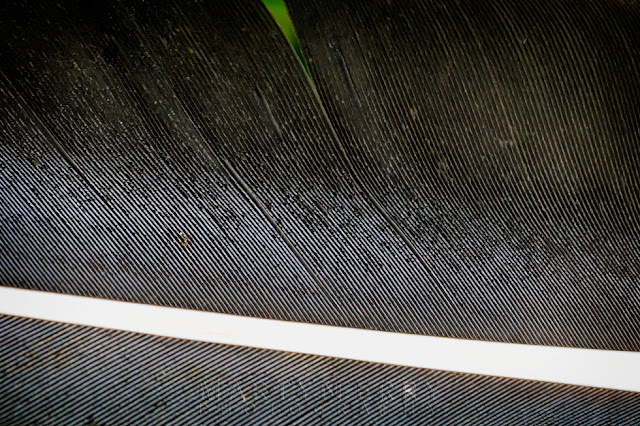 It is home to a multitude of geese, ducks, swans, gulls, coots, terns, grebes and cormorants, along with a few herons. 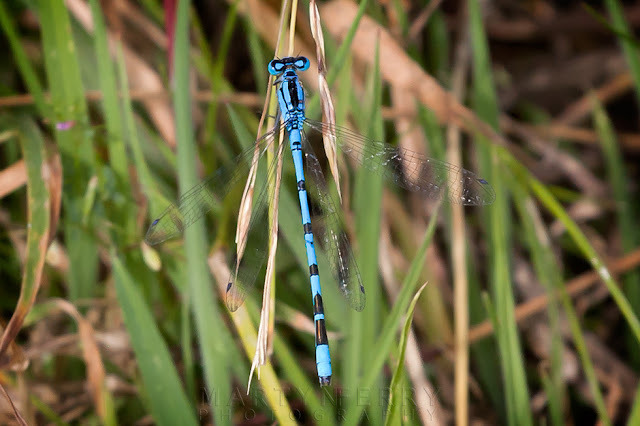 Some of which have travelled for thousands of miles to breed on its lakeland islands. 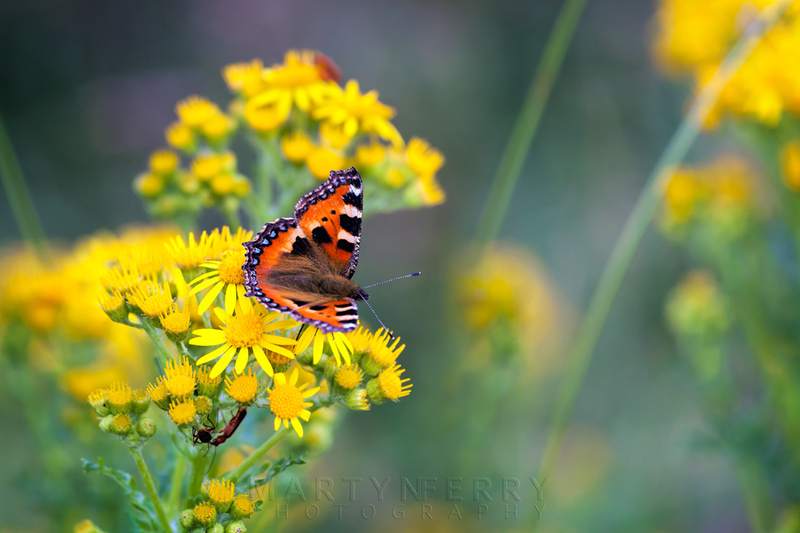 A small tortoiseshell butterfly stands out against the sunny flowers. 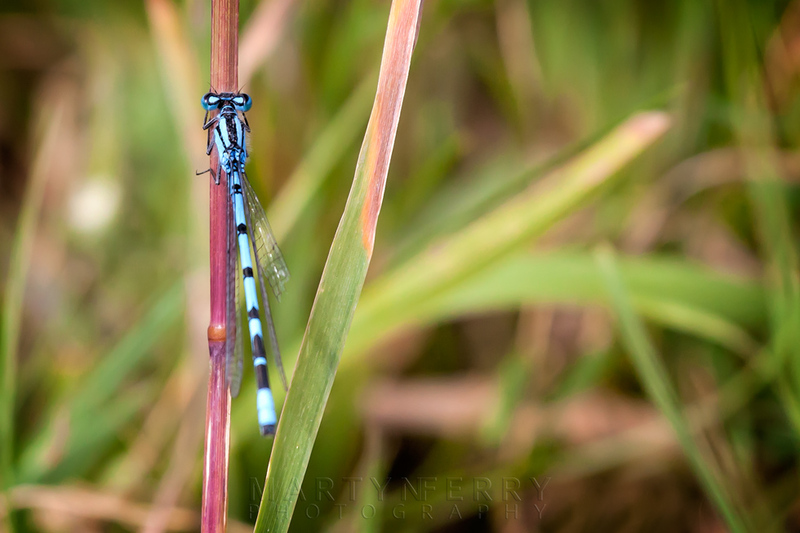 A common blue damselfly clings to some grass. 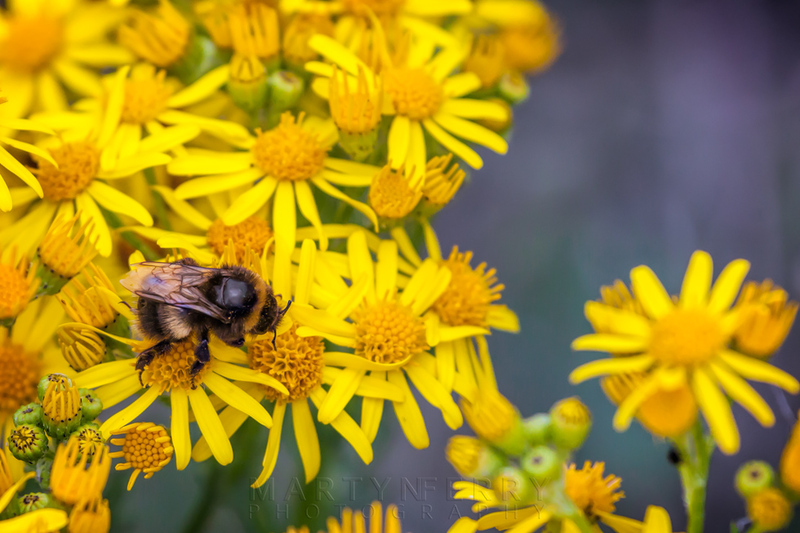 Possibly a buff tailed bumblebee, but I'm not entirely sure about that. 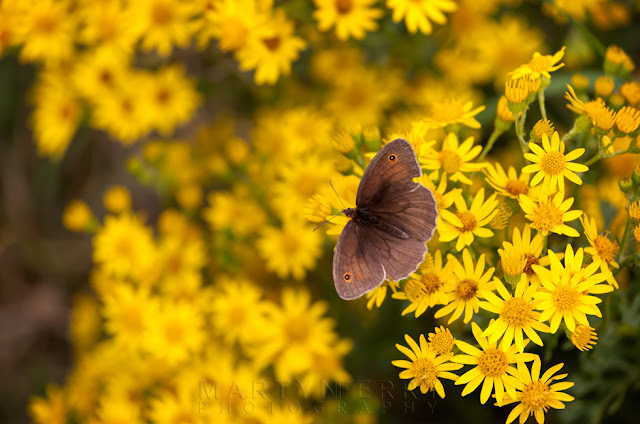 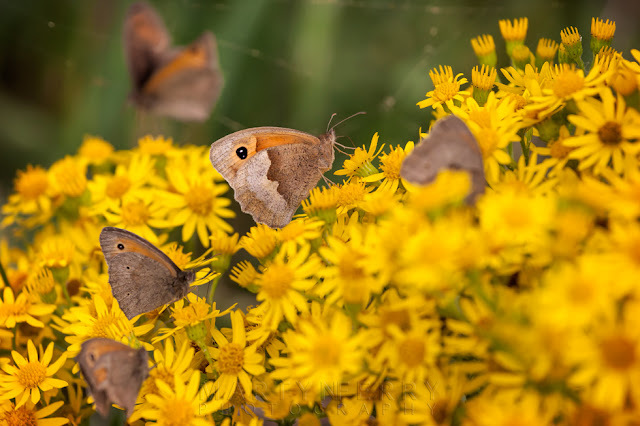 A collection of meadow brown butterflies supping on nectar. 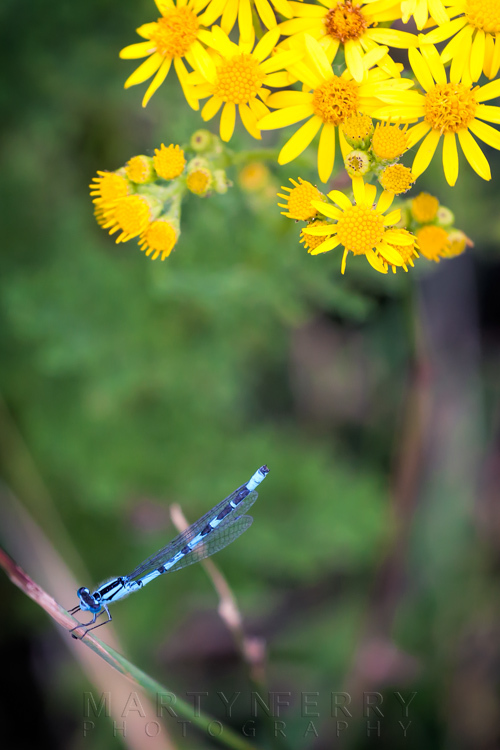 Common blue damselfly raises its tail. 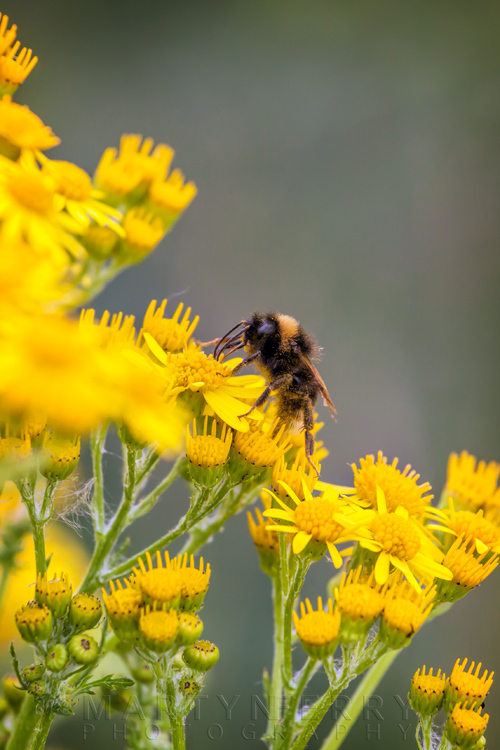 Bumblebee on an expedition to find nectar. 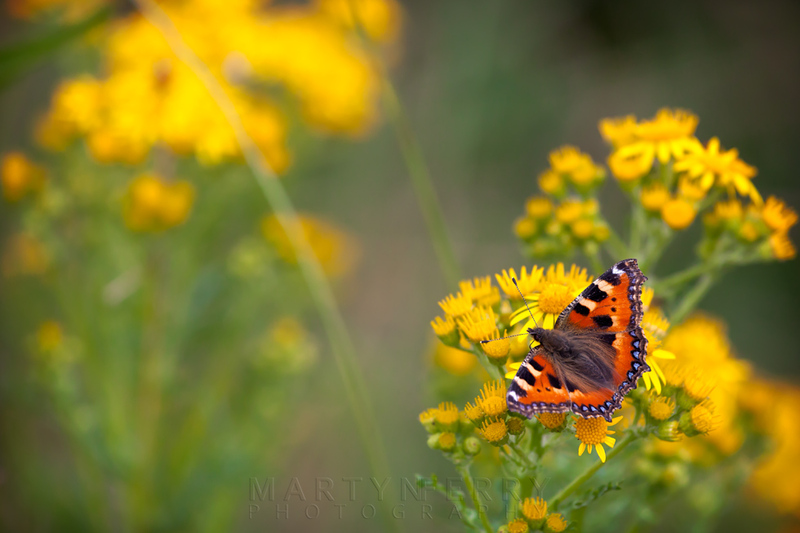 Another shot of a small tortoiseshell butterfly showing off its splendour. 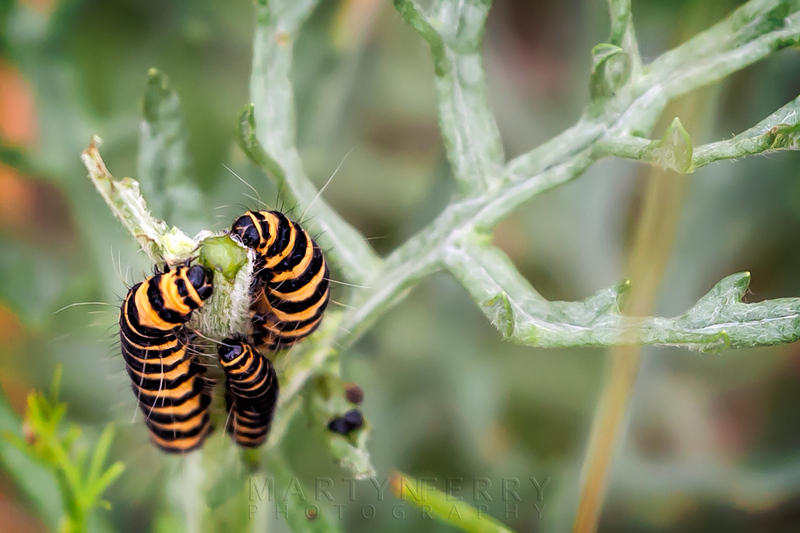 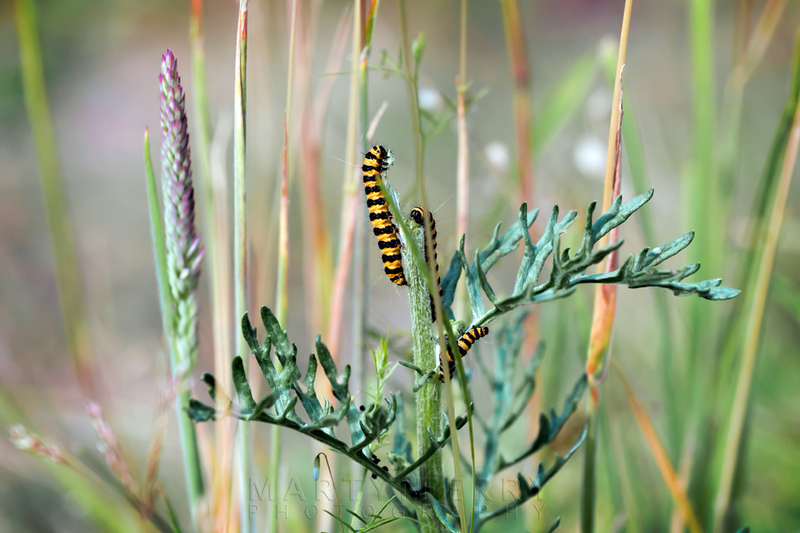 Cinnabar moth caterpillars doing what they do. Another meadow brown at repast. 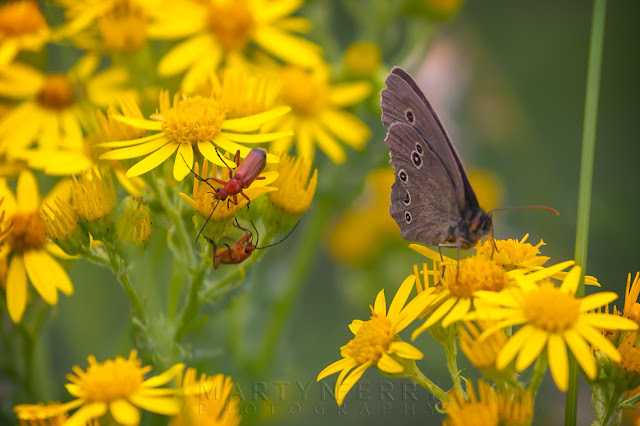 Ringlet butterfly with a couple of soldier beetles scampering about the ragwort flowers. Close up of an electric blue damselfly resting on some grass. 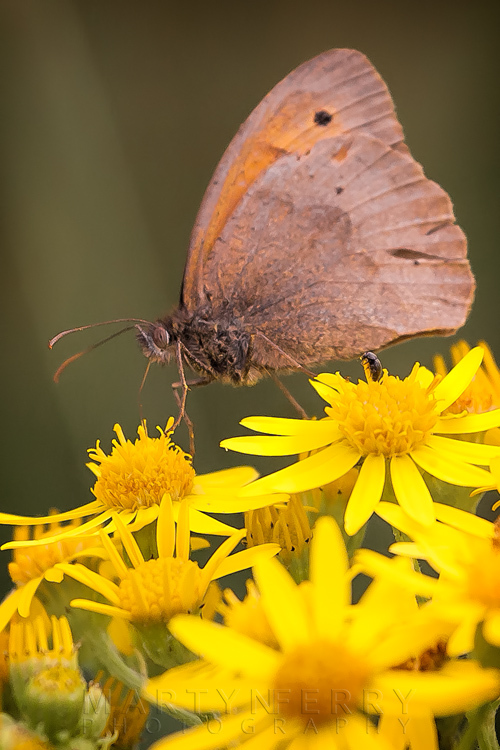 A good view of this meadow brown sipping at the flower nectar. 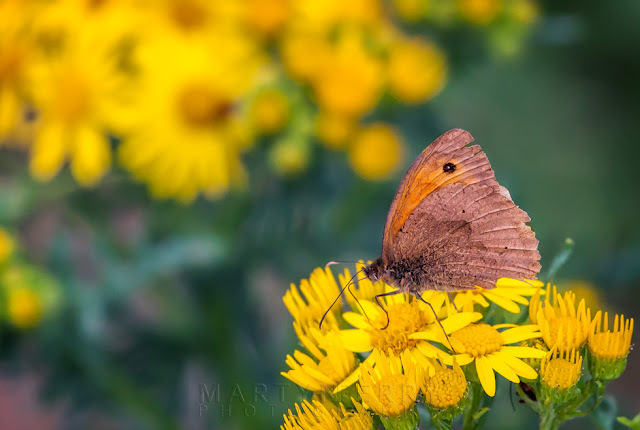 A meadow brown with open wings. 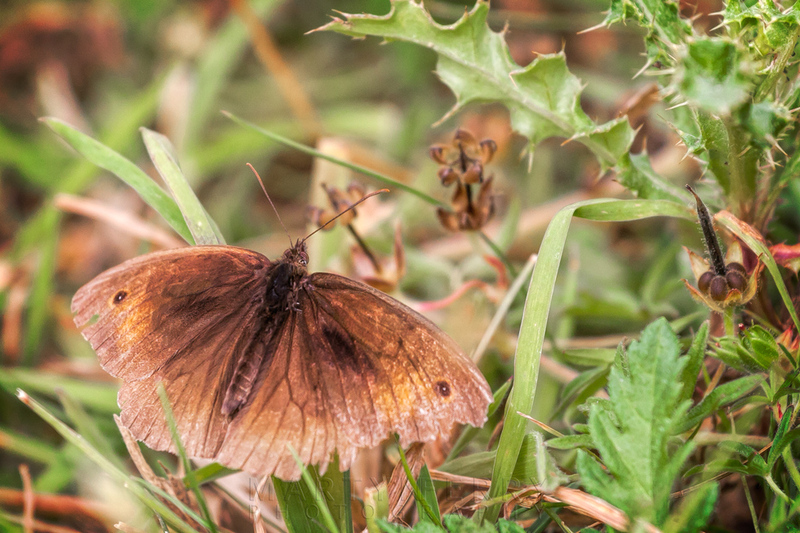 As you can tell, there were a lot of meadow browns about. A close up of a feather that caught my eye. 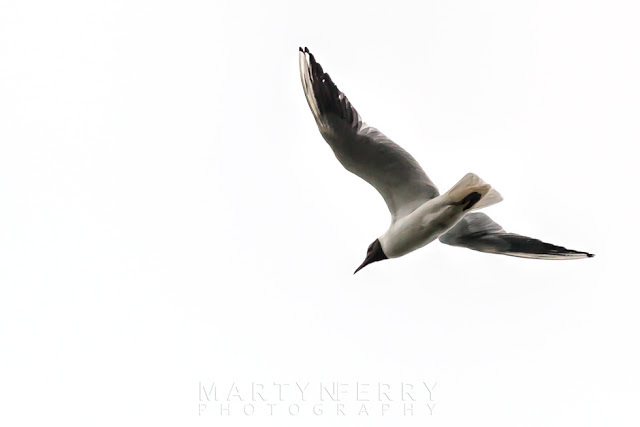 And finally, here's one of a black-headed gull for good measure.